Image from work with 2017-2018 Artist-in-Residence Catie Cuan. 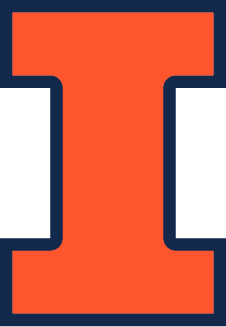 Artist-in-Residence (AiR) position at the Robotics, Automation, and Dance (RAD) Lab at the University of Illinois at Urbana-Champaign. The Robotics, Automation, and Dance (RAD) Lab is seeking an Artist-in-Residence (AiR) for the 2019-2020 year (with flexibility but roughly June 2019 to August 2020). About the RAD Lab: The RAD Lab is located at the University of Illinois at Urbana-Champaign. The lab was founded in 2013 by Amy LaViers as an interdisciplinary, collaborative group where qualitative and quantitative methods equally support research, teaching, outreach, commercialization, and artistic efforts. The group works with a focus on embodiment to create more expressive robotic systems for robust function in dynamic and human-facing environments and has received funding from NSF, DARPA, CCAM, and NIST. This position is unpaid, though space, travel, and equipment resources are provided; however, it is anticipated that the AiR will spend, depending on their interests, 10-100 hours teaching students in the RAD Lab and consulting on research projects, which is paid at a rate of $150 and $70 per hour, respectively. Moreover, Dr. LaViers will work with the AiR to secure outside funding for the work. Applications are accepted until an AiR is announced. Please write to Dr. LaViers with any questions at alaviers@illinois.edu. Feel free to read about the ongoing output of the 2017-2018 AiR, Catie Cuan, at www.timetocompile.com.